3.6 out of 5 based on 17 bloggers and 3 commenters. Germaniumify is a free blogger template adapted from WordPress with 2 columns, right sidebar and geometric motifs. The download link is broken, when i click it just an image (*.jpeg) file. 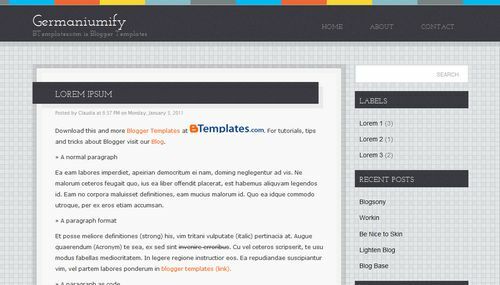 Germaniumify blogger theme download ?? ?